Also serving communities of Middleburg Heights. There are 40 Assisted Living Facilities in the Strongsville area, with 4 in Strongsville and 36 nearby. 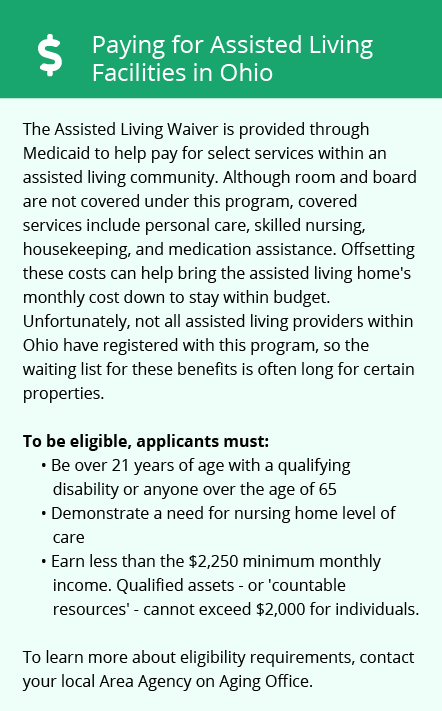 The average cost of assisted living in Strongsville is $3,890 per month. This is higher than the national median of $3,346. Cheaper nearby regions include Brunswick with an average starting cost of $3,400. To help you with your search, browse the 173 reviews below for assisted living facilities in Strongsville. On average, consumers rate assisted living in Strongsville 4.5 out of 5 stars. Better rated regions include Brunswick with an average rating of 4.8 out of 5 stars. Caring.com has helped 5 families in Strongsville find high-quality senior care. To speak with one of our Family Advisors about assisted living options and costs in Strongsville, call (855) 863-8283. John Strong founded Strongsville, OH, in the early 19th century, and in 1821 he sold the large downtown commons to the city fathers for just $1. Today, Strongsville has grown well beyond its original boundaries and contains 64 assisted living communities. Seniors who live in these communities get room and board for their monthly payments, as well as help with bathing, dressing and other activities of daily living (ADLs). All of Ohio's assisted living communities are regulated by Ohio Department of Health’s Office of Health Assurance and Licensing, which regularly inspects and enforces standards for properties across the state. Strongsville is part of the Cleveland metro area, and it shares much of Cleveland's weather. Here, winter lows drop to 20 degrees Fahrenheit, while summer highs reach 86 degrees Fahrenheit. Strongsville gets around 39 inches of rain a year, which can raise pollen and cause seasonal issues for seniors with allergies and asthma. The cost of living in Strongsville is somewhat higher than the national average. Seniors can expect to pay higher-than-average prices for things like groceries and health care. Taxes in Ohio can run from 0.495 to 4.997 percent. On top of this, local income tax in Ohio can run from 0 to 3 percent. Seniors who receive SSI and some types of retirement income may be exempt from both state and local taxes. Crime rates are very low in Strongsville. Across almost all categories, this quiet suburb posts numbers close to one-third of the national crime rates. Public transportation in Strongsville is in the hands of the Greater Cleveland Regional Transit Authority (GCRTA). This service offers discount fares for seniors, and aging citizens who live in Strongsville can access the network from local stop 451, east of Pearl Rd. The Strongsville area is home to world-class medical facilities, including Southwest General Strongsville Medical Center, in the event of medical emergencies or illness. Assisted Living costs in Strongsville start around $3,890 per month on average, while the nationwide average cost of assisted living is $4,000 per month, according to the latest figures from Genworth’s Cost of Care Survey. It’s important to note that assisted living rates in Strongsville and the surrounding suburbs can vary widely based on factors such as location, the level of care needed, apartment size and the types of amenities offered at each community. 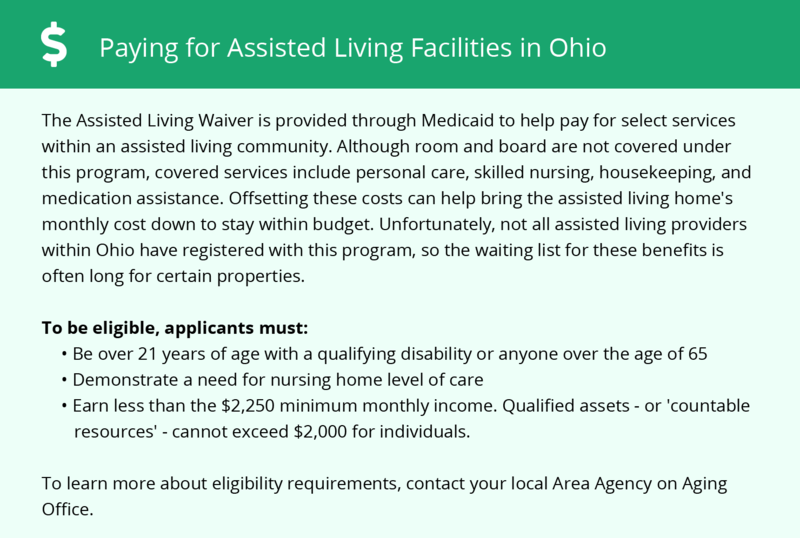 Seniors in Ohio who need help paying assisted living costs can take advantage of Ohio's residential state supplement program, as well as the Assisted Living Waiver, which is a part of the state's Medicaid program. Strongsville and the surrounding area are home to numerous government agencies and non-profit organizations offering help for seniors searching for or currently residing in an assisted living community. These organizations can also provide assistance in a number of other eldercare services such as geriatric care management, elder law advice, estate planning, finding home care and health and wellness programs. To see a list of free assisted living resources in Strongsville, please visit our Assisted Living in Ohio page. Strongsville-area assisted living communities must adhere to the comprehensive set of state laws and regulations that all assisted living communities in Ohio are required to follow. Visit our Assisted Living in Ohio page for more information about these laws.